Shipping technology has come a long way since the dawn of e-commerce. A decade ago, retailers were lucky to even get a process in place to compare shipping rates, sync orders with the rest of their e-commerce software, and print shipping labels. Tech advancements have now made it easy to integrate your e-commerce store, payment solutions, and custom business software with a shipping solution to do all of those things seamlessly. Couple that with today’s consumer expectations that hinge on the success or failure of your shipping strategy. Did the package arrive at the customer’s doorstep a day late? Does the customer have to pay for the postage required to return their item? Did you lose customer data as you jumped from one software to another to answer their question? Chances are that customer is already in the hands of a competitor. The good news is that shipping software has evolved alongside these consumer demands. Not only will shipping software help you compare rates and streamline your fulfillment process, it can also integrate with other software to help you provide the best possible experience for your customer. The best way to take advantage of everything an e-commerce shipping solution has to offer is through a shipping API. An API is technology that can work directly with the software you already use, including accounting, customer support, order management, warehouse management, and more. The API will talk directly with your other software, so that the data is synced, which streamlines your process and improves the experience. A shipping API will pull in information about your orders, so that you can print shipping labels. Then, it updates your other software with tracking and other information to help you notify customers about their orders. There are many unique ways you can use a shipping API to improve your customer experience. Here are a few examples. You can integrate a shipping API with other software you use to manage the customer experience. For example, Shippo was chosen by Trello to power the Package Tracking Power-Up functionality. That means that anyone using the tool can enter a package tracking number to follow a shipment’s progress and find historical information right from the Trello card instead of going to the carrier’s website to manually enter information. Trello helps retailers keep an eye on their most important packages, going as far as adding a red badge to any package that’s not progressing on schedule. By integrating the Shippo API with your Trello account, you can keep all of your customer information in once place instead of switching back and forth between platforms. One of the most exciting and experimental ways to use shipping as part of the customer experience is through webhooks. You can use webhooks to initiate an action when certain conditions are met. For example, if a package has been delivered, the tracking information is updated to reflect that. Instead of manually looking at each tracking number to see when a package is delivered, you can set up webhooks to send an email directly to the customer when the tracking information says that the package is delivered. Subscription record company VNYL uses webhooks to detect when new tracking information is available. This allows VNYL to notify customers in real-time with shipment tracking information so that their customers don’t need to leave the app in order to look up tracking information on third party carrier websites, like FedEx or USPS. What’s more, when a package is delivered, the Shippo app triggers VNYL to automatically upload music to a customer’s Spotify playlist—all through webhooks. Another key pain point for e-commerce companies is having multiple databases for the support team to parse through when answering a customer question. 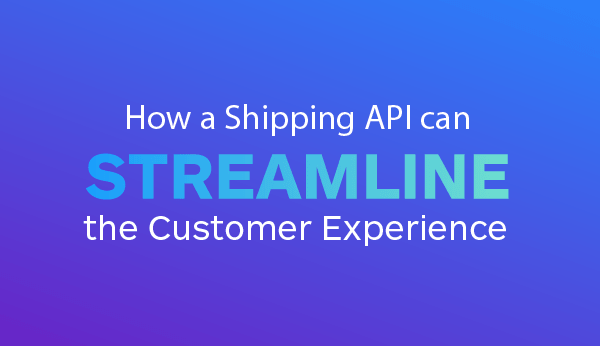 With a shipping API, you can integrate all shipping data with the customer support software you use, so that the CS team can find all of the information it needs in once place. Now, it can find information about the product, time of purchase, shipping service level, tracking information, and more to swiftly answer customer questions. The result? A happy CS team and even happier customers. How Do I Get Started Using a Shipping API? You will need a developer to integrate Shippo or another shipping API with your software of choice. The good news is that Shippo has client libraries, references, and detailed docs to make the integration process easy. If you have any questions about our shipping API, feel free to contact sales here. 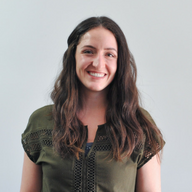 And, if you’d like more background about APIs in general, check out our recap of an Andreessen Horowitz podcast featuring our co-founder.